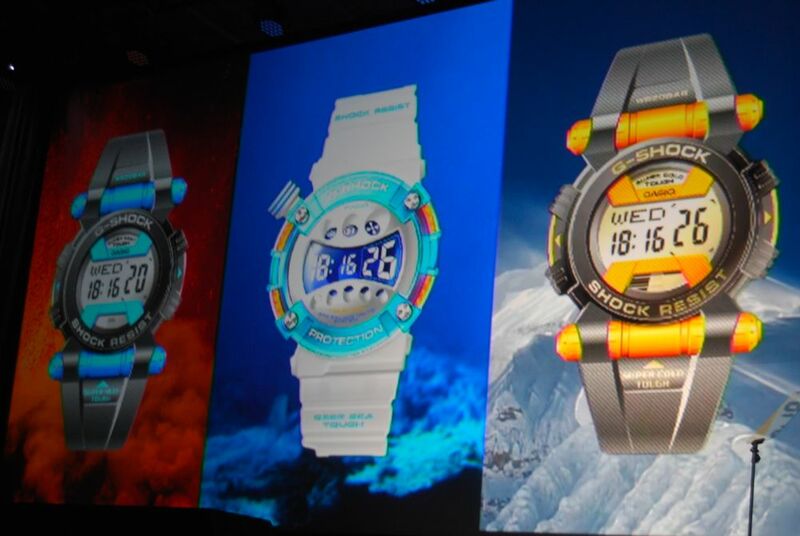 G-Shock is back celebrating their 30th anniversary. If you have been following us we went to the G-Shock 30th anniversary party last year around this time (see here). Well this year they brought the party to Downtown Manhattan’s Basketball City, invited some special guest, and revealed some new watches! First, they kicked off the night with a private press conference to unveil some of the new products. Beginning with a preview of their future line “The Ultimate series”; three different watches that can withstand harsh weather conditions. The first was the Ultimate Waterman which is made to withstand deep-sea diving, next was the Ultimate Heatman which will last in extreme heat, last was the Ulitmate Iceman this one will work in the coldest temperatures and doesn’t freeze. Next actor James Marsden (X-Men) introduced their new luxury line, the MT-G series. This is G-Shocks introduction to the metal-ban world (Michael Kors better watch out); shipping this December the watch is incredibly nice and comes in silver, black, and a special edition black and gold color. 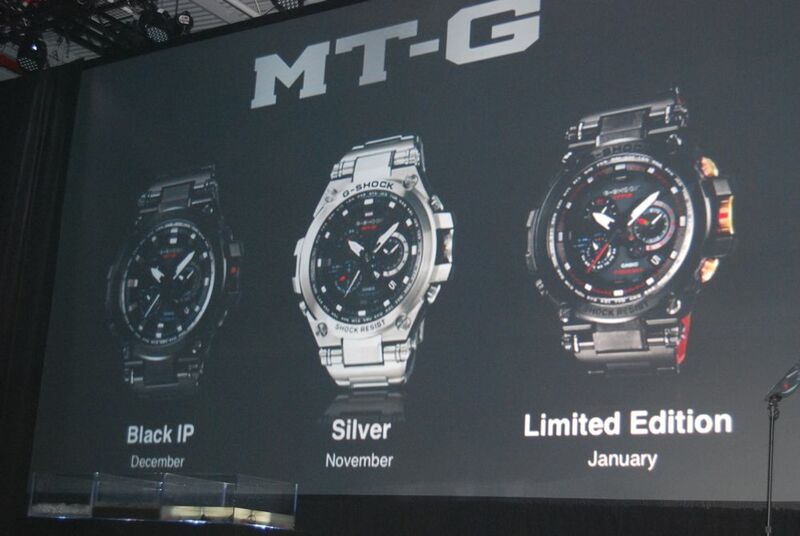 The MT-G series will range from $900-$1,100. 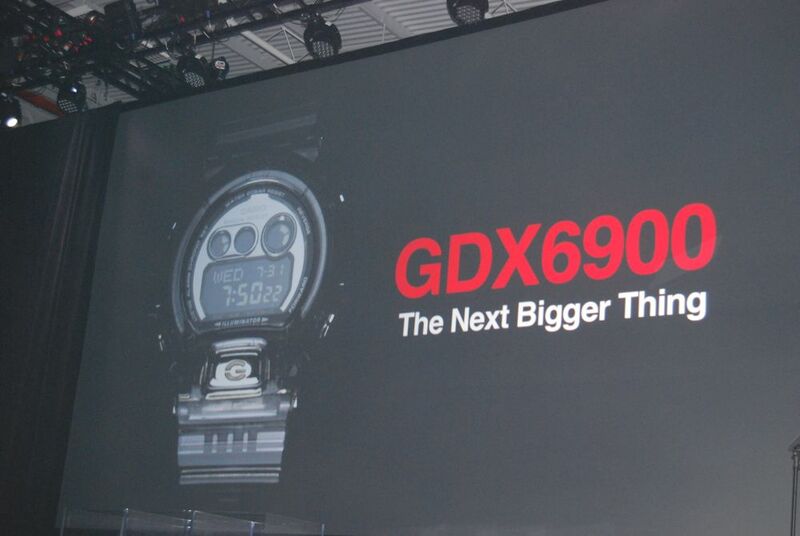 Next BK Net’s star Brook Lopez came out to introduce the newest edition to their 6900 series, the GDX6900. This watch has a face that is 10% larger than the original 6900 and packed with powerful technology like Bluetooth that allows you to control your music on your smart phone and set your alarm on your watch from your phone. 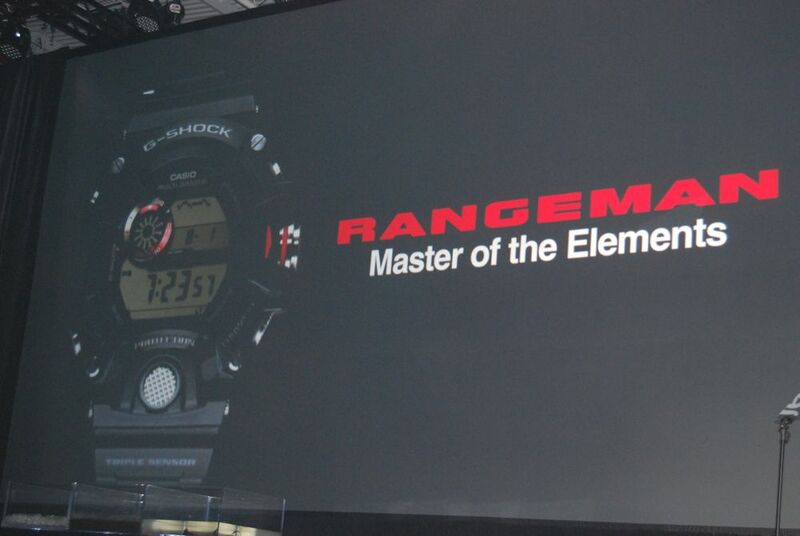 Next they introduced the new Rangeman, a watch created to withstand all natural elements (mostly marketed for people who work outside in harsh conditions, like military, hikers, etc). Up next they revealed their collaboration watches with various people/companies. First was the pro-snowboarder Louie Vito collab watch, then the New Era collab, then a Baby-G collab with model Jessica Stam, and the biggest collab was revealed with hip-hop superstar Eminem (ships December). Lastly, they announced the final edition of their 30-anniversary collection – a beautiful yellow watch. After the press conference, the party began! With drinks sponsored by Clique Vodka, Basketball City suddenly became filled with people! Right when the room was filled and most people were feeling right, rapper Yelawolf hit the stage and killed it! The southern rapper performed his songs with just a DJ and ‘Slumerican’ glaring in the background. Next, Eminem hit the stage and of course killed it (does he ever disappoint?). Performing all his hits and making sure the world remembers that he is still and will always be one of the best! Overall, it was a great night! I love the new watches and I am now a bigger fan of G-Shock. Such a powerful watch with a cool look to it.